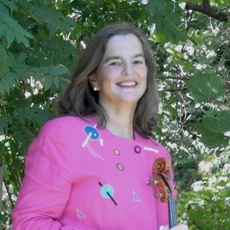 Penny Brill, a member of the Pittsburgh Symphony Orchestra’s viola section since 1980, is perhaps best known for her innovative work with the use of music in health care. In addition to helping to implement and support the Pittsburgh Symphony Music and Wellness program, she advises and provides resources for orchestras and orchestral musicians throughout the country who wish to play in medical settings or work with special needs children, veterans or refugees. She has given a number of workshop presentations at national conferences on how to design and implement programs in cities with extremely varied demographics, needs and music preferences. She will be making many of those design ideas and resources available on her website, Musacor.com (“Musicians as a Community Resource”). In 1985, she won the Pittsburgh YWCA Tribute to Women Award in part for her work on redesigning the hiring process at the Pittsburgh Symphony Orchestra. In May 2002, she won the Pittsburgh Symphony’s Vince Calloway Customer Service Excellence Award for her work with Music and Wellness. In 2003, she won the National American Music Therapy Association (AMTA) Advocacy Award. In 2006, she won AdagioHealth’s Tempo Award in recognition of “generous and significant contributions to improve the health and wellbeing of women and families in western Pennsylvania.” In 2010, she won the AMTA Mid-Atlantic Region’s Advocacy Award. In 2013, she won the Paul J. Ross Award for excellence in education and community engagement. Penny Brill is a graduate of Smith College and the Juilliard School. Previously, she taught at the Oberlin Conservatory for two years and played viola for one season with the Buffalo Philharmonic. Ms. Brill was part of the AW Mellon Orchestra Forum as well as the Mellon Task Force, both of which were looking at the future direction of orchestras. She is the former Treasurer of the International Conference of Symphony and Opera Musicians (ICSOM) and chaired the Pittsburgh Symphony Orchestra Committee. She is currently on the Board of U.N.-affiliated Music as a Global Resource, as well as the International Association of Music and Medicine (IAMM).